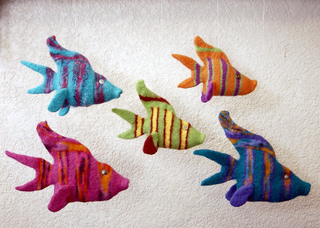 Sleek and colorful, the Fanciful Felted Fish makes a delightful addition to any collection of felted sea life. Variegated yarns can be substituted in the stripes. Eyes can either be embroidered on after felting, needle felted, or a button can be used. 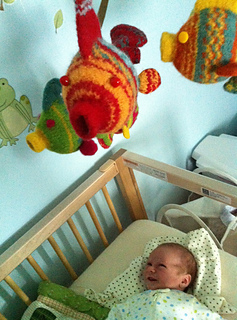 Fish is knit in one piece from the mouth. 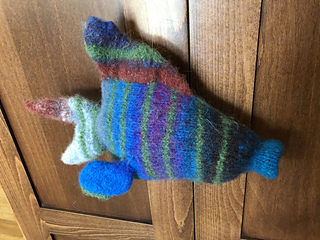 Fins are picked up and knit onto the body.